Age 90 of Owosso passed away Tuesday, April 2, 2019 at her home. Funeral Services will be held 2pm Saturday, April 6, 2019 at Trinity United Methodist Church with Pastors Rodney Godley and Carman Minarik officiating. Burial will follow at Hillcrest Memorial Gardens. The family will receive friends at Nelson-House Funeral Home on Friday April 5, 2019 from 4pm to 8pm. Dorothy was born July 30, 1928 in Owosso, the daughter of John and Etta (Woodbury) Ford. Dorothy was a member of Trinity United Methodist Church. She was active in the Women's Society. She enjoyed spending winters in Florida and going to lunch with her Red Hat sisters. She loved spending time with her family and rocking her grandbabies. She enjoyed quilting, cooking and crafting. She married Iray J. Louch on March 14, 1945 at the Naval Transfer Base, Camp Shoemaker in California; he predeceased her on August 17, 2013. Dorothy is survived by her children Timothy (Arlette) Louch, Gregory (Christine) Louch and Cynthia (William) Nosis Jr., 10 grandchildren; 17 great-grandchildren; 7 great-great grandchildren; sister June Helvie and many other loving family and friends. She was predeceased by her husband, Iray; her infant son, Mark and ten brothers and sisters. Memorial contributions are suggested to Trinity United Methodist Church. To send flowers or a remembrance gift to the family of Dorothy Jean Louch, please visit our Tribute Store. 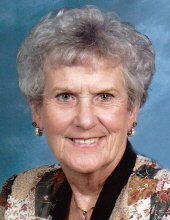 "Email Address" would like to share the life celebration of Dorothy Jean Louch. Click on the "link" to go to share a favorite memory or leave a condolence message for the family.